Linda is a master aesthetician with over 22 years of experience in clinical and cosmetic dermatology. 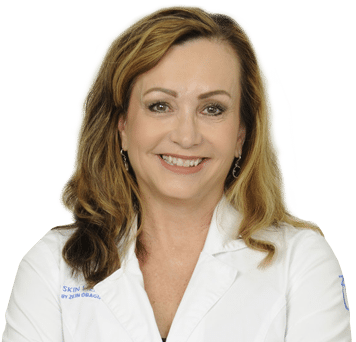 She has worked in a clinical setting as a dermatology nurse alongside some of the top dermatologists in the country in anti-aging research. Linda is a member of the Association of Skin Care Professionals and the National Rosacea Society and worked as a DermaMed Trainer for the East coast, training medical aestheticians on photofacial and microdermabrasion treatments. Linda is constantly taking classes to keep up-to-date on skin care treatments as well as the latest trends in medical skin care. She is honored and excited to be a part of our prestigious and professional team at Water’s Edge Dermatology. She works with our dermatologists and refers patients back and forth to achieve all of their skin care needs and goals.